sewing in the past: the operatic phantom. 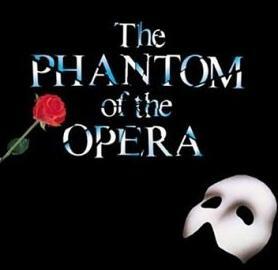 better known as the Phantom of the Opera. after seeing the movie (about a thousand times). listening to the c.d. (even more). going to see it on stage (is there any experience more thrilling?!). and even watching the silent movie version (quite frightening, really). I found now would be as good a time as any to read the novel. are there words to describe the intensity? I do believe POTO is a classic. erik is a violent, creepy, stalkerish, murdering, insane fellow. rauol is a pitiful creature. christine is so easily swayed. and the BEST character from the book (who ends up saving both Christine & Raoul's life) isn't even in the movie, musical, etc. sigh. 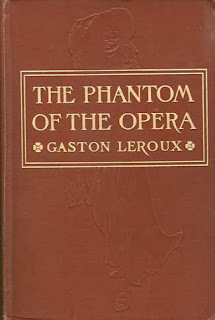 I do believe, however, that to be a true Phantom fan...you must read the book. you gain such depth and understanding regarding situations and characters. and you develop an even deeper (if that's possible) respect for the story. so put it on your summer reading list. because it's a good 'un. I also didn't read the book till I'd seen the story in all of its other available forms. I truly do love the book, it's such an gripping story! Have you had about the sequel Andrew Lloyd Weber wrote to the musical? I totally agree. I find that the movie/musical makes much more sense after you've read the book. 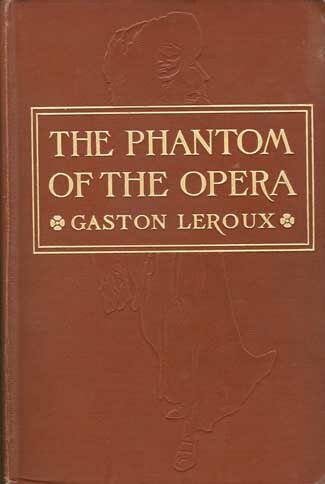 The book was also the last POTO I discovered and it makes everything better. I think their is something just a hair more thrilling than seeing the Phantom of the Opera on stage(Though, I couldn't say for sure, having never seen it)is seeing "Wicked" on stage. I can honestly say I don't think I breathed for the entire performance. 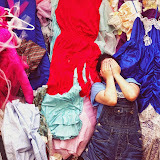 I was actually TIRED after watching it, it was that amazing, and the songs make me dance in public(which is sad, really). And whenever I hear "Defying Gravity" I must stop whatever it is I am doing, and act out the entire scene. And this from seeing it only once. If I have peaked your interest, I must advise that you never read the book. Attempt not to even lay eyes on it. That poor excuse for entertainment is an utter disgrace to the world of good literature. O.K. I'm good.